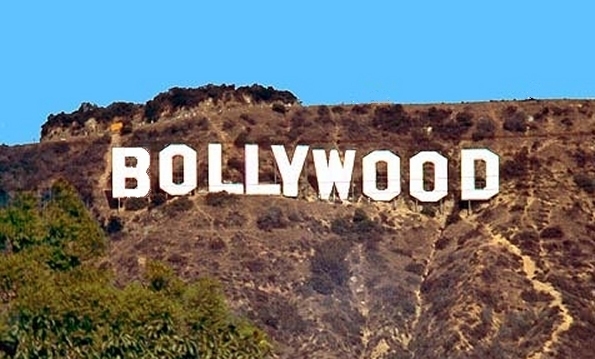 Been in a desi mood lately, and following the success of the Bollywood party at the recent RWA conference, I thought I'd take you all to Bollywood today. Tanu Weds Manu - The song that's been making rounds lately, a total hit! It's about a totally mismatched couple in an arranged marriage. The guy comes to India from the US to get married, except for the tiny detail that the bride does not want to get married! I haven't yet seen this movie but it's on my to-watch list. Aisha - a modern Bollywood retelling of the classic Jane Austen story, Emma. Now we start to go back a little in the years - the classics! Kabhie Khushi Kabhie Gham (translates to A Little Happiness, A Little Sadness) - a family drama spanning 10 years. When the eldest brother falls for a girl who is 'beneath their station', the patriarch sends him away. 10 years later, the younger brother is back from boarding school and vows to bring his family together again. Kal Ho Na Ho (translates to Tomorrow Might Not Be) - Takes place in New York. Heroine falls in love with the new guy on the block. Except he's a terminal heart patient and vows he'll bring love into heroine's life... in the form of heroine's best friend who's been pining for her all along. Salaam-e-Ishq (literally translates to A Greeting at Love) - Bollywood's answer to Love Actually. The love stories of 6 different couples. Song on my mp3 Jai Ho from Slum Millionaire. Don't know what they are saying, but love the music. Will have to see if Netflix have these to check out. I love the way they dance. The music makes me dance in my chair. lol I always loved to dance. Loved this! Thanks for finding these for us. Musicals like Moulin Rouge, High School Musical and Mamma Mia reminded me so much of Indian flicks. There's something ethereal about musicals, innit? They transcend time. I love Jai Ho! It's a perfect example of fusion Indian/English music. And the funny thing I've found out - you have to have hips and a belly to dance to Indian music! I thought of you when I posted this, since you at 'the' bash. :) Bet that was a lot of fun. And oh yeah - these Indian clothes weigh a ton! I wonder how they dance in them.